In recent years, we’ve seen an increasing number of adult patients who want to straighten their smiles. 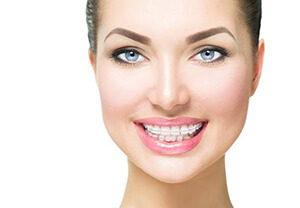 Unfortunately, the time commitment, unnatural appearance, and hassle associated with traditional bracket and wire braces aren’t usually convenient for adult patients. If you’re an adult who wants to correct your smile alignment without worrying about these issues, Six Month Smiles cosmetic orthodontics may be just what you need. Call the Dental Center of Jacksonville to schedule an orthodontic consultation to find out more today. This innovative cosmetic dentistry procedure can be performed right in your general dentist’s office. That means you don’t have to worry about scheduling an appointment with an orthodontist and dealing with the hassles of dental insurance and financing in a new office. You can correct the appearance of your smile in just three to eight months without spending years with bracket and wire braces. Subtle, Lucid-Lok® clear brackets and tooth-colored wires blend in with your natural smile, so you can maintain your professional image throughout the course of treatment. This faster treatment plan will also save you money. Most patients complete their treatment for just $3,000 to $4,000 for upper and lower arches compared with traditional braces that can range from $3,000 to $7,000 for metal braces and $4,000 to $8,000 for ceramic braces. Should I Consider Six Month Smiles? 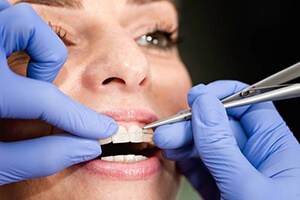 To get started, we capture impressions of your bite and design a treatment plan. The plans are sent to a Six Month smiles lab where your brackets and wires are crafted. 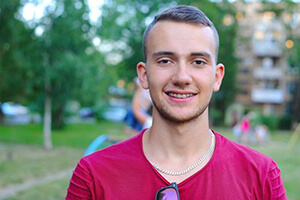 Six Month Smiles treatment is completed using pre-made, tooth-colored brackets and wires that attach to just the front six teeth visible within the smile line. Once your Six Month Smiles braces are in place, you’ll need to visit us every few weeks for short adjustment appointments. During these visits, we adjust the wires in order to place pressure on individual brackets. This pressure gently shifts your teeth into their ideal alignment in just about six months. During your Six Month Smiles treatment, you can continue to brush teeth as usually, using a soft bristled toothbrush for two minutes at a time twice a day. Flossing can be a little more challenging since you’ll need to clean around your brackets and wires. There are specialized flossing tools to help you clean around your Six Month Smiles braces. A water or air flosser can make it easier to remove food and plaque, keeping your smile whole and healthy.